A Labour candidate has apologised for revealing a sample of postal votes on the social networking website Twitter. 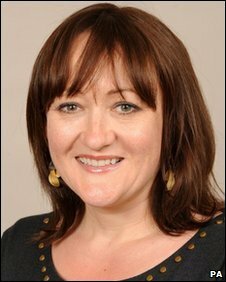 Bristol East candidate and party 'Twitter tsar' Kerry McCarthy said she was "kicking herself" after the gaffe. Avon and Somerset Constabulary said it was looking into a possible alleged breach of electoral law. It is illegal to reveal the votes cast before the end of polling day because it may influence the outcome of the election. A Bristol City Council spokesman said the authority had reported the matter to the police after Ms McCarthy brought it to their attention. In a statement, Ms McCarthy said she had called the council's returning officer and had removed the post from the website within minutes. She explained: "On hearing the results of a random and unscientific sample of postal votes, I posted them on Twitter. "It was a thoughtless thing to do, and I very quickly realised that it was not appropriate to put such information in the public domain. "Because this was not official information, and no votes had been counted, I thought of it as being akin to canvass returns, ie telling people how well we were doing with Labour promises on the doorstep, but I appreciate now it was wrong to do so." She said the returning officer had advised her that it would not be lawful for anyone else to publish the information, for example by re-posting her tweet. A Bristol City Council spokesman said: "The city council this afternoon learned of an alleged breach in the Representation of the People Act 1983 section 66(4) (d). "This is a criminal matter and will be for the police to decide what action to take." A spokesman from Avon and Somerset Constabulary said: "Bristol City Council contacted the force this evening about a possible alleged breach of electoral law. The matter is being looked into." Last year, Ms McCarthy was appointed Labour's new media campaigns spokeswoman. The role involves improving the party's use of social media websites ahead of the election. The candidates for Bristol East are: Conservative: Adeela Shafi; Labour: Kerry McCarthy; Liberal Democrat: Michael Popham; British National Party: Brian Jenkins; UK Independence Party: Philip Collins; English Democrats: Stephen Wright; Green Party: Glenn Vowles;Trade Unionist and Socialist Coalition: Rae Lynch.